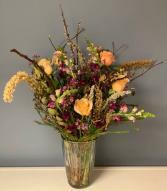 Funeral Flowers from THE FLOWER BASKET - your local Hardwick, VT.
A funeral for a friend or loved one can be difficult, but funeral flowers from THE FLOWER BASKET of Hardwick, VT can help begin the healing process. Funeral flowers provide the opportunity to express how much the departed means to you. 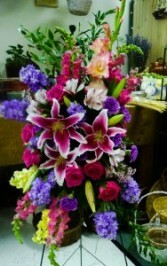 Celebrate the life of your loved one with one of the beautiful funeral flower arrangements found here. Browse our funeral flowers page to find the perfect sympathy arrangement and place your order online. You can also call and speak with a designer at THE FLOWER BASKET in Hardwick, VT for funeral flowers just as unique as your friend or loved one. 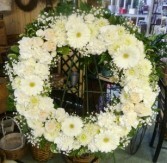 Wreath with gerbera daisies, roses, carnations, mums, baby's breath, and premium greens. 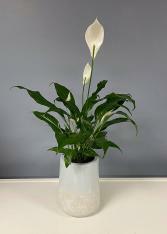 To insure availability order at least 48 hours before delivery. 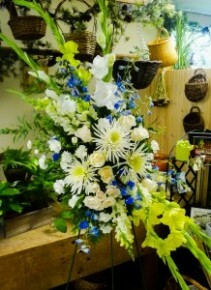 Request another color choice in special instructions at checkout. Basket with Lilies, spider mums, roses, asters, mini carnations, alstromeria, wax flowers, and premium greens. To guarantee availability, order 48 hours prior to delivery. Request another color choice in special instructions at checkout. 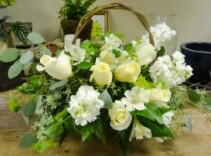 Basket arrangement with roses and premium greens. 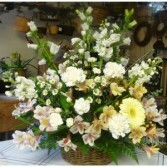 To insure availability order at least 48 hours before delivery. Request another color choice in special instructions at checkout. Standing spray with Stargazer Lilies, stocks, snapdragons, Gladiolas, carnations, and premium greens. To insure availability order at least 48 hours before delivery. 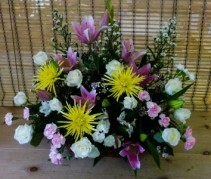 Casket spray with roses, snapdragons, stock, alstromeria, and premium greens. To insure availability order at least 48 hours before delivery. Request another color choice in special instructions at checkout. Spray with roses lilies, daisies,limonium, wax flower, and premium greens.To guarantee availability please order 48 hours before delivery. Request another color choice in special instructions at checkout. 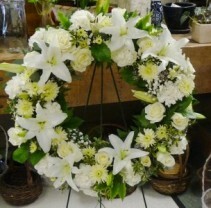 Wreath with lilies, roses, mums, carnations, baby's breath, and premium greens. 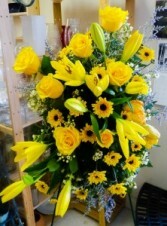 To insure availability order at least 48 hours before delivery. Request another color choice in special instructions at checkout.